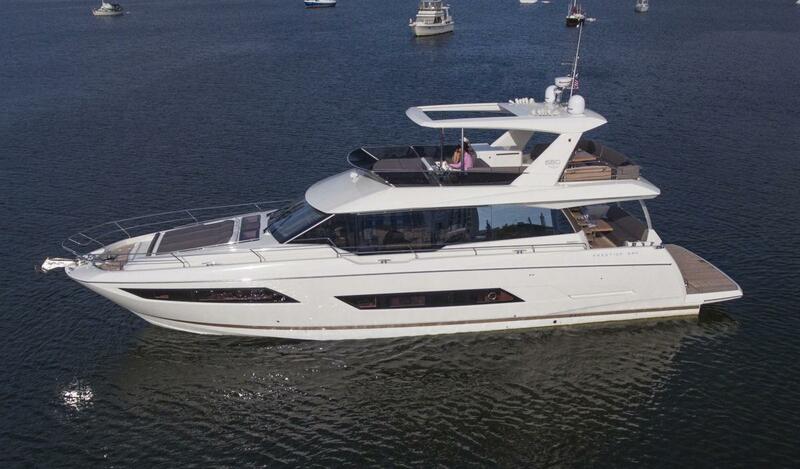 Prestige Yachts is a global brand that manufactures luxury motor yachts. 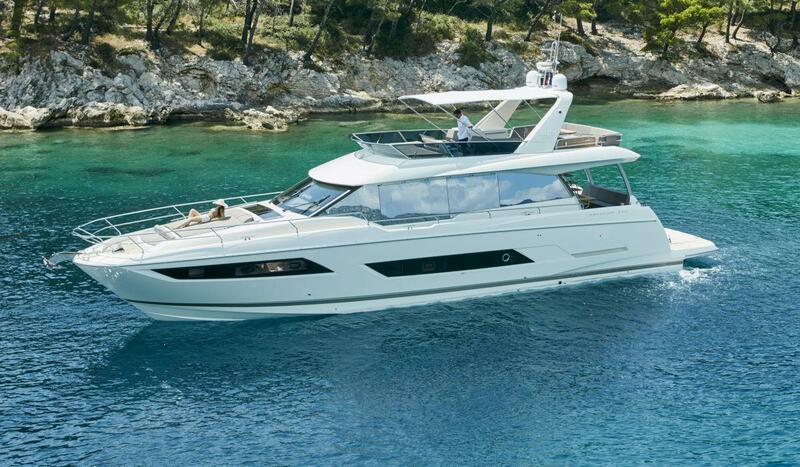 Originally a brand of Jeanneau, Prestige became its own entity over 20 years ago. Its success is founded on simple concepts such as living spaces one level, 360-degree panoramic views, and an independent owner’s suite. 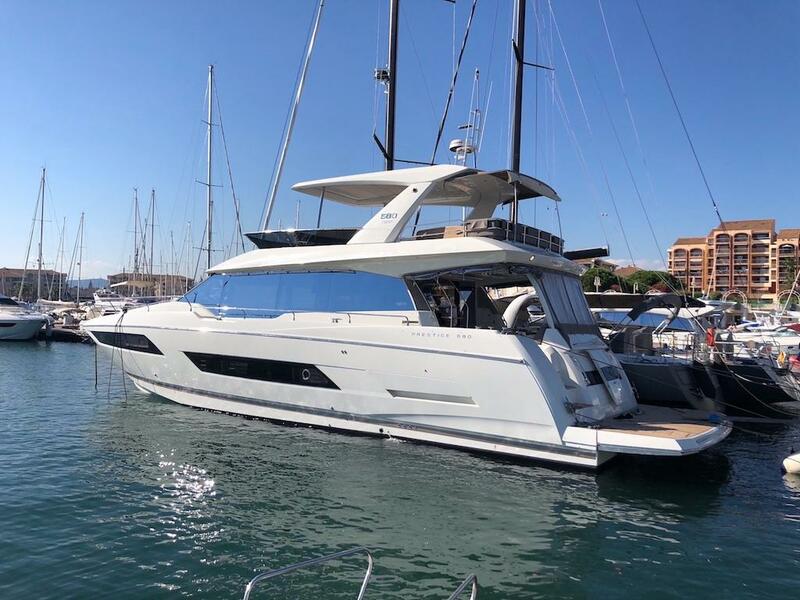 Prestige’s international team of architects, designers, and engineers have created a brand of luxury yachts that is advanced, dependable, and comfortable. Worth Noting: The shipyard’s first launch was the Prestige 41 in 1989. Prestige 38 S 2007 - Current 39' 0" 12' 1" 3' 1"
Prestige 39 2008 - Current 39' 8" 12' 10" 2' 0"
Prestige 390 S 2010 - Current 39' 1" 12' 9" 2' 11"
Prestige 420 S 2014 - Current 41' 6" 13' 0" 2' 8"
Prestige 41 1989 - 1992 42' 8" 13' 1" 3' 7"
Prestige 42 2005 - Current 43' 10" 13' 7" 3' 1"
Prestige 440 S 2010 - Current 43' 10" 13' 8" 3' 0"
Prestige 450 S 2012 - Current 45' 11" 14' 1" 3' 6"
Prestige 46 2002 - Current 47' 8" 14' 3" 3' 3"
Prestige 500 S 2010 - Current 49' 1" 14' 11" 3' 5"
Prestige 50 S 2006 - Current 54' 0" 14' 4" 3' 9"
Prestige 550 S 2012 - Current 58' 11" 15' 10" 3' 1"
Prestige 620 S 2011 - Current 63' 1" 16' 11" 4' 4"
Prestige 60 2009 - Current 64' 0" 16' 6" 4' 3"
Prestige 680 2014 - Current 70' 5" 17' 6" 5' 2"
Prestige 750 2014 - Current 74' 0" 17' 1" 5' 2"
Prestige Yachts, originally a product line of Jeanneau, was established in 1989 in Vendée, France. Vittorio and Camillo Garroni, Italian naval designers, collaborated with a French designer to create the international Prestige brand. A diverse team leads Prestige in its continual quest for quality: French engineers, an Italian design cabinet, American and Swedish engine manufacturers, and an American naval architect. To meet the needs of a passionate audience, Prestige has built its brand’s success on a few basic concepts: all living spaces on one level, 360-degree panoramic views, and an independent owner’s suite. With seaworthiness being a top priority for Prestige, it invests in premium technology, such as CATIA CAO design software, which allows the design team to examine, combine, and upstream all in 3D. 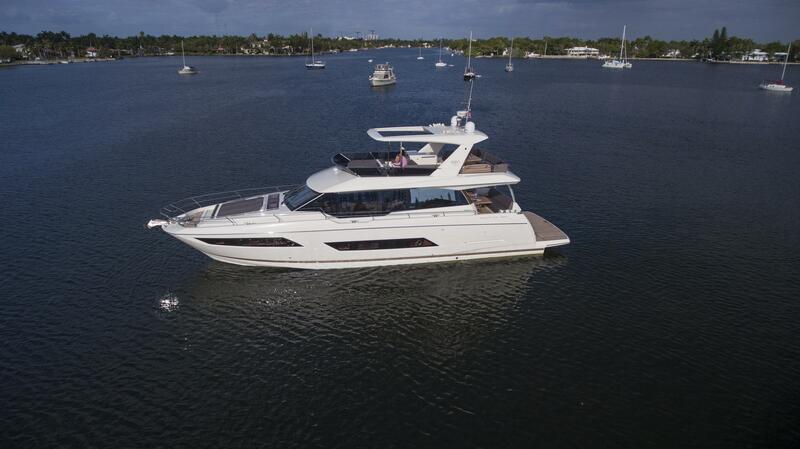 Moving towards creating models in the 70-foot range, Prestige has manufactured over 2,500 motor yachts within 3 model lines: Flybridge, Express, and Sport Top.